The first Black Quarterback to start a game in pro football history is getting a life sized statue in his hometown. Marlin Briscoe played at the University of Nebraska at Omaha when it was still called Omaha University. He’s is having a life sized statue of him unveiled at Baxter Arena Friday. KVNO’s Brandon McDermott had a chance to sit down with Briscoe and filed this report. Brandon McDermott: You were the first black man to start Quarterback in pro football history. Watching guys like Doug Williams, Warren Moon, Mike Vick, Russell Wilson and Cam Newton playing do you still see the impact you made on the NFL? How does that make you feel? Marlin Briscoe: Well, I do now. When I started this journey, back in 1968, I never thought of myself as a black quarterback. I had always played the position. So it didn’t really hit me, the significance of what I was about to accomplish. I see these guys every once in a while and they thank me for setting the table for them to now be labeled a Quarterback and not a ‘Black Quarterback’. That’s something that really elates me because that’s where my mindset was. Brandon: Some have called you the Jackie Robinson of the NFL. Did you ever deal with racism playing? If so how did it occur and how did you deal with it? Briscoe: Well you know I don’t have any overt racist reaction. Jackie Robinson set the table not just for baseball – He set the table for all sports that included African-Americans playing sport in which prior to that couldn’t play on a certain level, the pro level. Before there could be a black quarterback there had to be a Jackie Robinson. Before there could be a black president, there had to be a first black quarterback. It’s just a hierarchy of things and how that progress in society. Those things could not have happened and any other way. Brandon: You came from an important time in Omaha sports history the 50s and the 60s which produced Bob Boozer, Bob Gibson, Gale Sayers, Johnny Rodgers and you Marlin ‘The Magician’. What was it like playing with guys like that? Briscoe: We put our foot in the water, so to speak, as younger players than Bob Gibson and Bob Boozer. Those guys set the table for us aspiring to want to be like them; want to emulate what they accomplished. 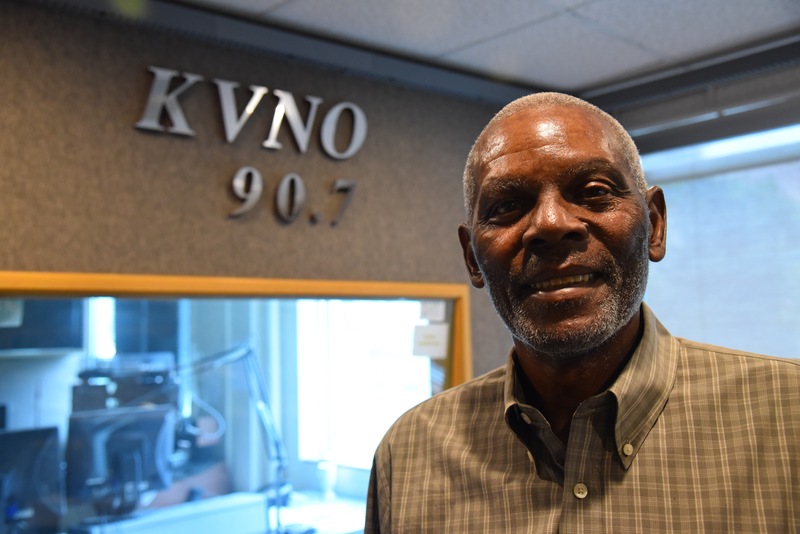 We said ‘hey, if they can do it then we can do it.’ So there was an entire generation youngsters they came after Bob Boozer and Bob Gibson, you mention a few, there were quite a few more from this little community in north and south Omaha that went on not only to play at a high level but to put a stamp on it. Brandon: Now it’s been nearly fifty years since you played your last collegiate game here in Omaha. What did Omaha University now UNO mean to you? Briscoe: It meant everything. First of all, if I had not made the decision to come to school here, my journey would not have taken place. The late Al Caniglia was a father figure to all of his boys here, when we were trying to find our niche in life. The one thing that Coach Al stressed is the fact that you are going play or compete for the position that you want to play – and – you’re going to get a degree. He had almost 100 percent graduation rate when it was unheard of. Brandon: Now you were the first black quarterback to start the NFL. You led the NFL in receiving, you made a Pro Bowl. You were part of the 1972 Miami Dolphins – the only undefeated team in NFL history. You won two Super Bowls, you met President Obama where he called you a ‘trailblazer.’ Now you’re having a personalized statue unveiled at Baxter Arena here in Omaha. What is your proudest moment? Briscoe: Well my proudest moment was the fact that I lived up to what Coach Al Caniglia projected me to do. He had supreme confidence in me there was probably some pressure on him to let me play, although, he would never let me know it. Nobody ever let me know it, I just played the position. I didn’t have any backlash from fans or alumni or our players – you know most of the players in our team were white. We had you know a smattering of black players and but for the most part was predominantly white attended. It was just around our era that African-American started to think about something other than working in the packing house or cleaning somebody’s house. They opted to try to get a degree. Brandon: Marlin Briscoe, thanks again for joining me. Briscoe: Thank you. Thanks for having me Brandon.